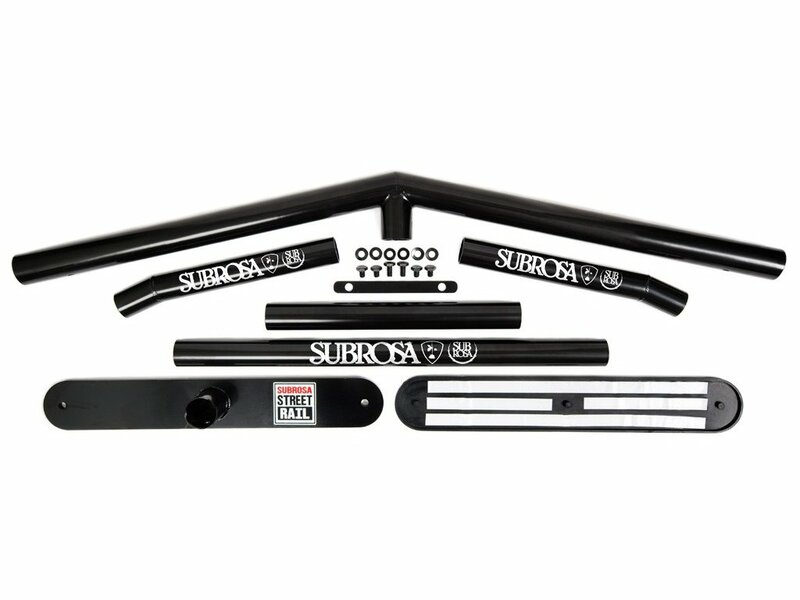 With this great Subrosa Bikes "Street Rail" A Frame Kit you can convert your Subrosa Bikes "Street Rail" to an in the middle increased A-Frame Street Rail and lift your Grind skills to a whole new level. After converting the center height of the A-rail is 76cm, the left and right outside height is 41cm which offers even beginners best conditions learning to grind slopes and inclines. 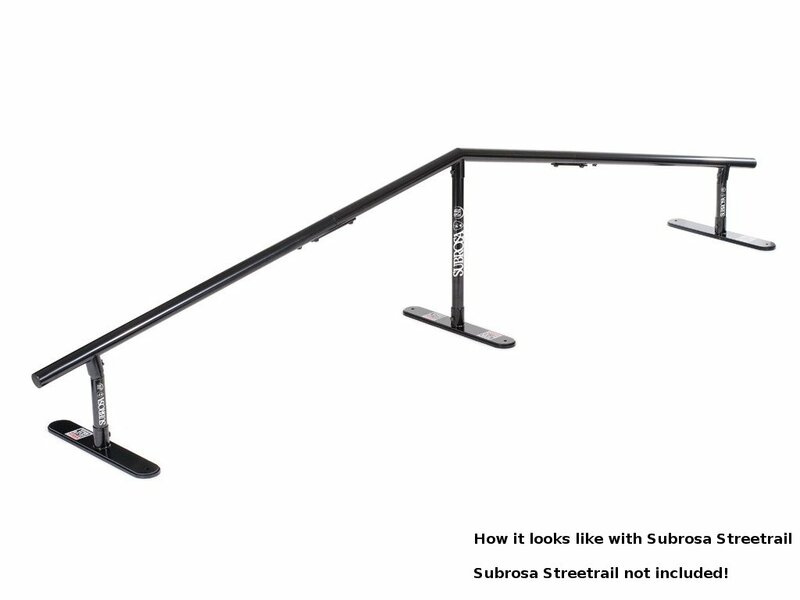 If you combine the Subrosa Bikes "Street Rail" with the Subrosa Bikes "Street Rail" A Frame Kit you will receive an A-Frame Street Rail with a total length of 3.66m.